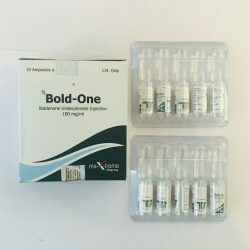 Drostoprime by Eminence Labs is an injectable steroid which contains an active substance named Drostanolone Propionate, and is commercialized in 10 ampoules (100mg/ml). 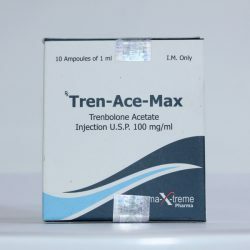 In medicine this steroid is used as a breast cancer drug. 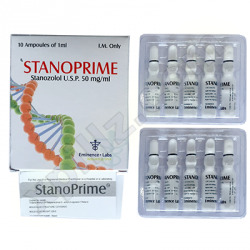 Being moderate anabolic with strong androgenic proprieties, Drostanolone Propionate help to increase hard and density muscles. Because it is a derivative of dihydrotestosterone, dromastanolone does not aromatize at any dosage and thus it cannot be converted into estrogen. Also named Drostoprime is often used by athletes who are sensitive to estrogen side effect because it is a powerful estrogen blocker. This steroid is relatively fast-acting and fast-clearing because of the attachment of the propionate ester to the base molecule. 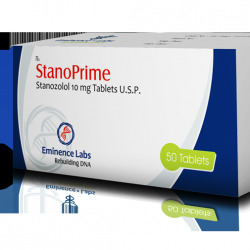 Bodybuilders like to take Drostanolone Propionate in cutting cycles. 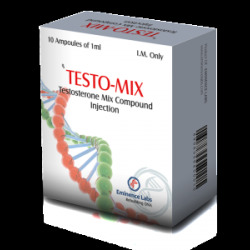 To achieve better results athletes prefer to stack this hormone with Testaplex P 100, Trenaplex, or oral steroid such as Winstrol, Halotestin. As a result of taking this combination bodybuilders will obtain hard and well defined muscles. Recommended dose for male bodybuilders is 300-600 mg/week. Women usually take 100-300mg/week. 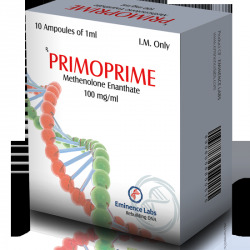 You can get rapid effect in workouts after buying Drostoprime by credit card or via Paypal. Enjoy buying Drostoprime from our steroid store. We are looking forward to make you our loyal customer. Drostoprime is one of the most widely used anabolic steroids in the pre-competition period. 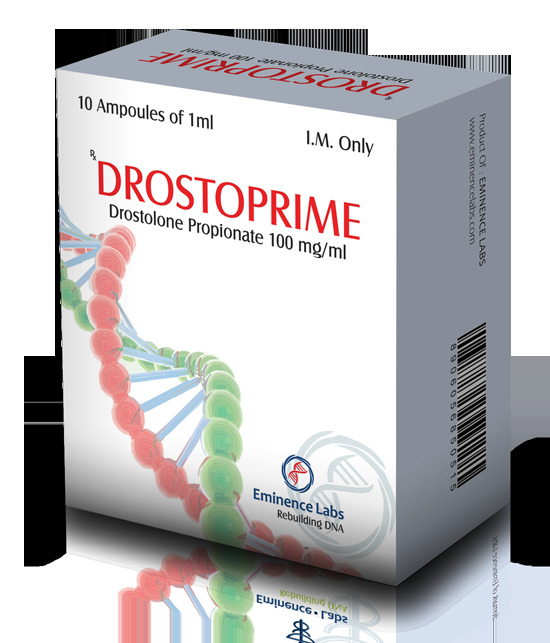 If an athlete has reached a low percentage of fat, Drostoprime causes an insane muscle hardness and density. 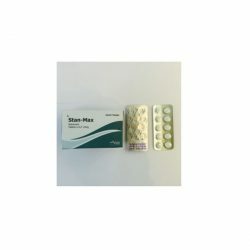 It is not able to transform itself into estrogen and thus does not cause gynecomastia, excessive water bloating and consequent increased blood pressure. And since it does not cause gynecomastia, it is particularly popular with athletes prone to the occurrence of gynecomastia not only in the pre-competition period, but also in volume. Moreover, it does not cause hepatotoxicity almost at all. And other health improvements related to testosterone. 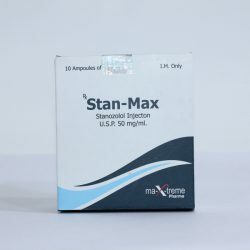 Its recommended usage norm is 300-500 mg per week for men and 25-50mg per day for women. 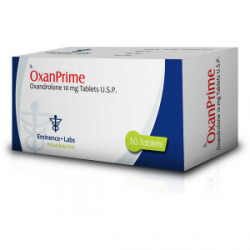 Drostoprime has a very mild anabolic activity; however, its excessive usage might result in acne, hair loss, aggression, and other side effects. It also decreases body’s production of testosterone; therefore, a testosterone therapy might be required after the course of Drostoprime. Masteron Enanthate doesn’t undergo aromatization (not converted to estrogen) are not converted to DHT, and is strengthened by the enzyme 5-AR, and as steroid without alkyls not represent a risk to the liver. In this regard and in general by its side effects, rather it is compared with Primobolan Depot. 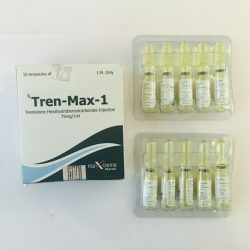 With regard to the positive effects in a cycle of anabolic steroid, Masteron Enanthate is at least as effective as Primobolan per milligram for muscle gain and fat loss, it seems a better choice for muscle hardening. 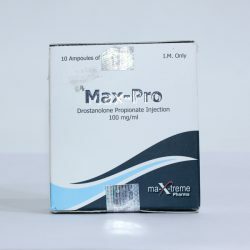 The side effects of Drostoprime are reflected in the side effects that can be produce by the three compounds containing in this anabolic steroid. In this case users may experience: acne on different body sites, nausea, oily skin, hair loss, increased aggressive behaviours, insomnia and problems related to pattern male baldness. Problems related to water retention may occur only when high dosages are taken but they may be avoided while stacking with other compounds.